As an advocate and practitioner of the art form, few tropes cause me greater distress than the old saw that classical music is relaxing. So Sheila Regan's recent article listing "Ten times when classical music can help you relax" got my heart rate going molto piu mosso, let me tell you. Following Regan's advice, I reached for some Mozart to help settle me down. It didn't work. The expectation that classical music (as opposed to rock, hip-hop, funk, et al) be relaxing gets in the way of appreciating the manifold rewards the repertoire has to offer, from Baroque concerti to the symphonies of Haydn and Mozart to the latest masterpiece from John Luther Adams. 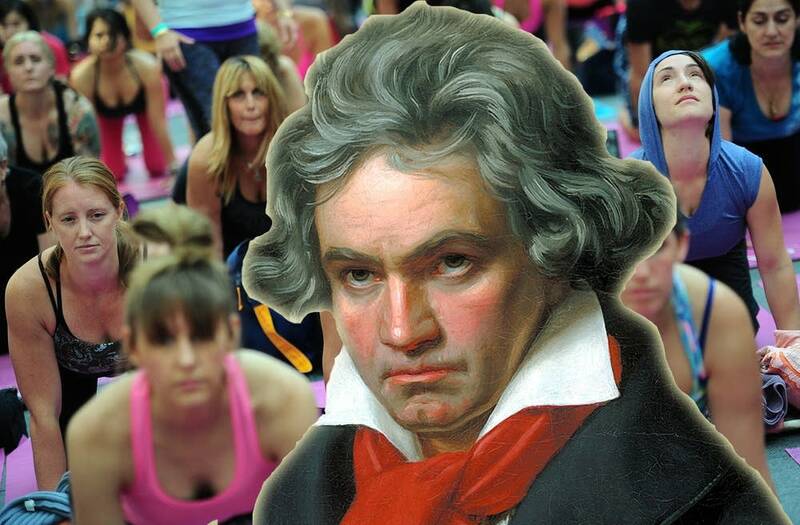 Consider the psychological complexity of, say, Haydn's Symphony no. 80: how OG Franz Joseph, with a preternatural deftness, combines fire and brimstone and light and delight into one eloquent musical thought. Or witness the devilish wit of the Joke Quartet, so razor-sharp it might draw blood. Or what about Haydn's protege, the breathtakingly dangerous Beethoven? This music isn't designed to relax. It exists to titillate. To terrify. To annihilate. When we engender, particularly among newcomers to the art form, the expectation that classical music be relaxing, what chance do Schulhoff, Shostakovich, and Messiaen stand? Or, for that matter, what chance do Haydn and Beethoven stand to really penetrate the listener's senses, when all she's after is some white noise while doing her taxes? Look, I have no beef with Sheila Regan. Before going further, I should make that clear. The alchemy behind how each one of us connects with great music is a strange, mysterious, intensely personal phenomenon. And hey, I drive to WQXR, have taken Music for 18 Musicians running, and won't pretend I've never spun the Schubert Great while cooking dinner. Against the suffocating sea of garbage competing for our attention, if it's Tchaikovsky that gets you going while you're mopping the floors, then damn it, turn it up. — which anyone who's given the repertoire a fair, open-eared shake knows it isn't. Yet among too much of the wider public, classical music is misunderstood as an old, dusty art form, the purview of dead aristocrats in powdered wigs. A curious, engaged approach to the classical repertoire, in all its astonishing breadth, dispels this misperception handily. We must encourage such an approach. And hey, you might not like Webern. I get it. (This isn't the Give modern music a chance soapbox.) Hell, you might not like Bach. But whether you find it exquisite or excruciating, your honest, open ears will fail to find this music boring. And there's the rub: your ears aren't open to the music that's playing in the background while you're reading a book, any more than your mind would be receptive to Dickens or Proust while taking in an exhibit at the MoMA or watching Mad Men. Please, let's not empower our art form's detractors. But to recommend "some nice piano sonatas or string quartets... to help you drift off to sleep" is to mock the achievements of Beethoven — arguably history's single greatest creator of piano sonatas and string quartets — and ignores Schubert, Brahms, Janacek, Bartok, Zemlinsky, Schoenberg, Berg, Stravinsky, Shostakovich, Elliott Carter, George Crumb, Gyorgy Ligeti, Iannis Xenakis, Helmut Lachenmann, Brian Ferneyhough, Leon Kirchner, Augusta Read Thomas, Julia Wolfe, Thomas Ades, Lera Auerbach, Matthias Pintscher, Georg Friedrich Haas, and several hundred more: composers for whom these media have been channels for searing expression, for the overpowering electricity of being alive. So it's not for cooking, reading, cleaning the house, doing my taxes, or going to sleep. What is classical music for? Just turn your phone off and listen. You'll see. Again, I bear Sheila Regan no grudge. But it's all too frequently that we encounter our leading cultural institutions accepting the "classical music for relaxation" approach. And it's disheartening to see — whether in concert or radio programming, recording companies' decisions, educational strategies, what have you — faith in the power of the art form thus sacrificed, as if only promising better grades or sounder sleep will draw in new listeners. Advocating for active and engaged arts participation is daunting enough of a challenge (and among the artistic disciplines, it's been rightly noted that we in classical music are "perhaps the most prevalent Cassandras in the arts"). We need our advocates — composers, performers, educators, critics, orchestras and other institutions, and Lord yes, our radio stations — trumpeting what's so vital in this music, inspiring the public to explore the repertoire and discover its power, so transformational that legions of us have dedicated our lives to creating it, sharing it, and supporting it. We need the advocates of our art form to grab us by the collar, excitedly, urgently, You've GOT to hear this-ly — not with the meek suggestion that perhaps one might enjoy some wallpaper Mozart while putting the dishes away. Patrick Castillo is a composer based in Brooklyn, New York. He served as Artistic Administrator of the Music@Menlo chamber music festival and institute for more than ten years, and for three seasons as Senior Director of Artistic Planning of the Saint Paul Chamber Orchestra.